Manama : SS Capital, headed by Surya Adiwijaya Soepono, has entered into strategic partner relations with Brave Combat Federation. Indonesia based SS Capital has acquired full rights to support and invest in Brave Combat Federation in Indonesia. Brave 12: KHK Legacy will be hosted on 11th May at Balai Sarbini Hall at Jakarta, Indonesia. The event marks the entry of the global promotion owned by His Highness Shaikh Khalid bin Hamad Al Khalifa in to the South East Asia. Apart from Brave 12: KHK Legacy, Indonesia is set to host 2018 Asian Games. Brave 12: KHK Legacy will be attended by distinguished list of dignitaries involving key government officials, International businessmen and celebrities. “We are honoured to enter into strategic partnership with SS Capital for Brave 12: KHK Legacy. 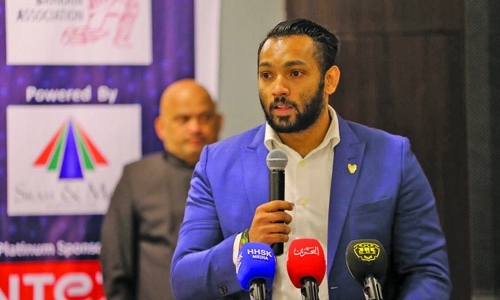 We hope to bring together our collective synergies to add value to our efforts as well as to transform the sport of mixed martial arts in the region. The developments will open avenues of investments apart from developing social and cultural exchange between the developing economies of Indonesia and Bahrain,” said Mohammed Shahid, President of Brave Combat Federation.